There is no doubt that the first years of self-publishing have been akin to a wild roller coaster ride. We need self-publishing version 2.0. For those authors seeking success in the future, this inverted logic needs to change. Right, so let’s slow down and totally reverse the logic of what has been self-publishing up until now. Market research? Yes, and this has been the most overriding failing of self-publishing to date. There are many ways to improve self-publishing, but these improvements can only come from self-publishers. As with any new technology, business model or craze, everyone has had their own ideas about how to achieve success. There have been the successful outliers such as John Locke, Amanda Hocking and E L James among others along the way, but for the vast majority of self-published authors, it’s been a long, hard slog, and a race to the bottom. The need for change, which I have dubbed Self-Publishing version 2.0, is approaching fast. With hundreds of thousands of new titles being self-published every year, mostly in ebook format, it is no surprise that the number of books available is now in excess of what the reading market can absorb. In other words, self-publishing has created a massive oversupply of a product in a market where the readership that is the paying consumer, has grown at a much slower rate. Too many authors who have self-published have done so without a plan or a thought as to how they are going to make a return. The general pattern has been to write a book, publish it on Kindle, and perhaps Smashwords or Draft2Digital, and for the keen, Createspace for a paperback version. Then, set up a website, open a Twitter account and create a Facebook Page, and finally, start promoting the book. While all these steps are part of publishing and marketing a book, the problem is that they are in the wrong order, and are used for all the wrong reasons. With this approach, the logic goes like this: “Oh, I’ve got a book, now I need to sell it.” This is not logical business thinking. It’s dreaming, not rational marketing. Self-Publishing 2.0, as I have called it, is an old-fashioned model where demand needs to be created first – and well before a product is produced to satisfy this demand. Therefore, this approach places all the emphasis on an author finding and building a potential niche market, well in advance of releasing a book. In other words, make contacts, get known, get popular, get busy, get potential readers and secure your defined niche market well before publishing a new book. It starts with a blog, or two. An informative, focused blog is a great starting point in developing a readership and building a solid email list that can be used to great effect when the time to publish arrives. A forgotten benefit is that a successful and popular blog can generate cash flow quite quickly, either by using Google Adsense, direct advertising or from affiliate marketing, yet has almost no set-up costs. Blogging is writing. Therefore, it’s a genuine form of self-publishing, so generating income from a blog is a natural first step towards making self-publishing a financial success. Like books, not all blogs are winners either, but as there is next to no expense in creating a new blog, and trying a few blog ideas to see which ones work is great market research. The only golden rule with blogs is to keep them narrowly focused. If you have a book idea or have a book written already, think about the subjects and topics in the book. Science fiction writers might choose space exploration or astronomy or for period romance, history or fashions and customs of the time. The possibilities are endless. With a blog or two up and running, now it’s time for that new Twitter account and Facebook Page to generate traffic to your blog. You could add any number of social media platforms, but keep in mind why you are using them. They are traffic drivers. 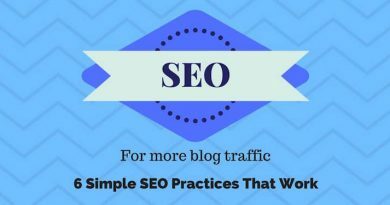 But once your blogs are established, the absolute priority will be in gaining traffic from Google, Bing and Yahoo Search, as organic traffic is far more likely to read and connect, as they will have found you because they are interested in your topic. Another reason to build organic traffic is that earnings from PPC (pay-per-click) Google Adsense, in particular, is much higher for organic visitors compared to visitors from social media links. Remember, you want to create a regular cash flow now to build your self-publishing business so traffic is the number one priority, as it is not only increasing your blog earnings but also building your future potential book buying market. Did I mention a website? It’s an option of course, and a useful way to get listed on Google Search, but websites are very static, so once a visitor has seen it, they are unlikely to return. Do you need one? Probably, but keep it simple. After six months of working with your blog or blogs, you should start to feel what is popular and what is not. Look for posts that have created the most interest, and especially the ones that gained the most organic traffic. These are your key posts that should give you clues. Why were they popular? How are they different from less popular posts? If possible, find out the demographics of your readers. You can get this information by using Google Analytics. What subjects are popular with what kind or reader, and do your key posts relate to your book’s topics? In other words, use your blog to do your market research. But it’s going to be number one in Self-Publishing 2.0. Now, what about your books? If you already have titles published, are they selling? If not, spend some time trying to figure out why. Even if there is no definitive answer, look at ways to improve them. New covers, new categories, new genre listings, new titles, a full edit, or even a complete re-write. Or in the worst case, if a title is doing very badly, and especially if it attracting negative reviews, take it off the market. You may have some good titles, but are your weaker books dragging down your author reputation? Yes, it’s time to do a quality audit of your products. Of course, during this time keep writing and have your new book or books ready to publish, but only when the time is right, and NOT just because you have finished writing it. There is one upside developing that will help authors who are serious about self-publishing in the future, though. It is that those who entered the self-publishing gold rush over the past few years thinking there was an instant fortune to be made are now disappearing very rapidly. So although there will still be a lot of ebooks books, there should now be some sanity. Self-publishing is here to stay, as there is no way of putting the genie back in the bottle. However, it’s going to remain a very tough way to publish books and make a living. The only chance of reasonable success as an independent author now is to be better and indeed much better in fact, and a lot smarter than the rest, and to develop complementary income streams. Sure, book royalties can provide one income stream, but sales tail off quite quickly after release for even the most popular titles, so don’t forget that blogging can provide a reliable and consistent income stream for a writer that will help ride out the bumps in book royalty income. Self-Publishing version 2.0 is about being in the business of writing for a profit and becoming a much smarter independent author, and writer.